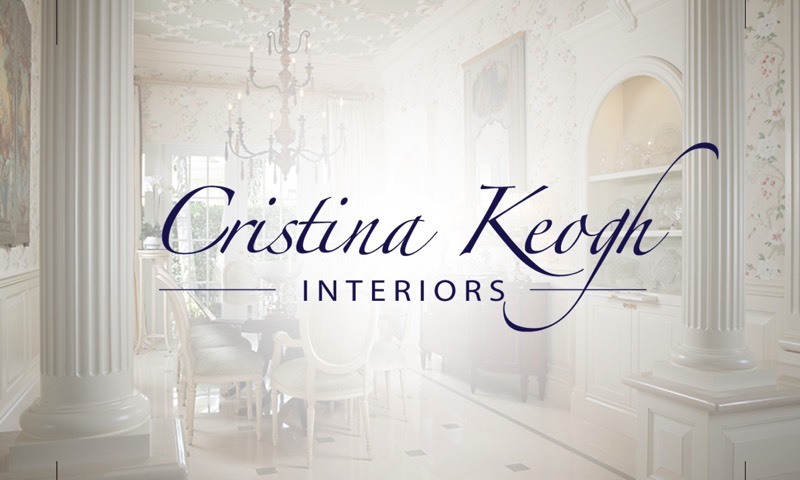 Every company needs a website, a logo, and a focused brand identity. This is why the thinq mac Brand Identity Building program was made. 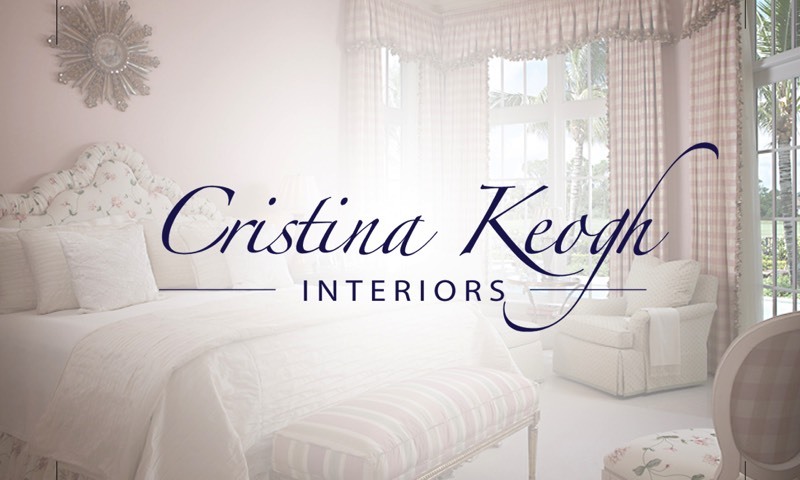 thinq mac is responsible for building the content below, ranging from websites and logos, to business cards and letterheads. thinq mac can build your brand's materials from A to Z. 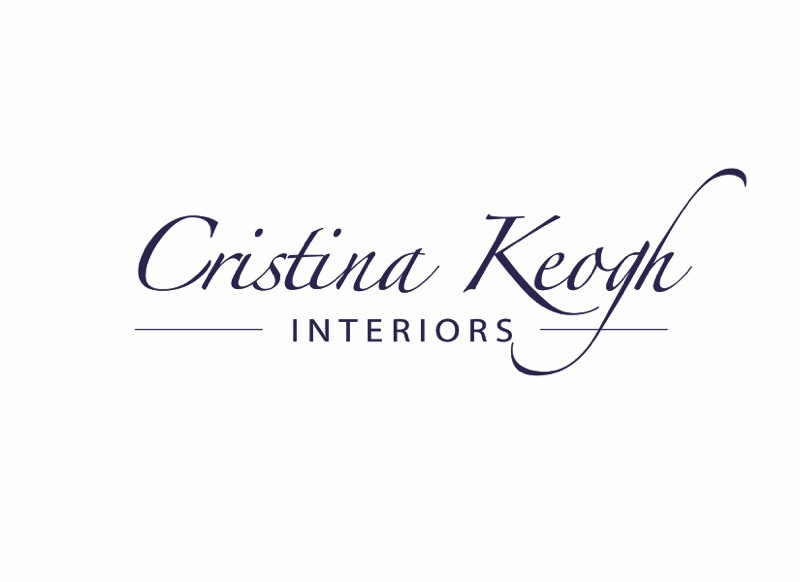 Get in touch if you'd like us to start building your brand identity. thinq mac has designed many aspects of Victoria Amory. 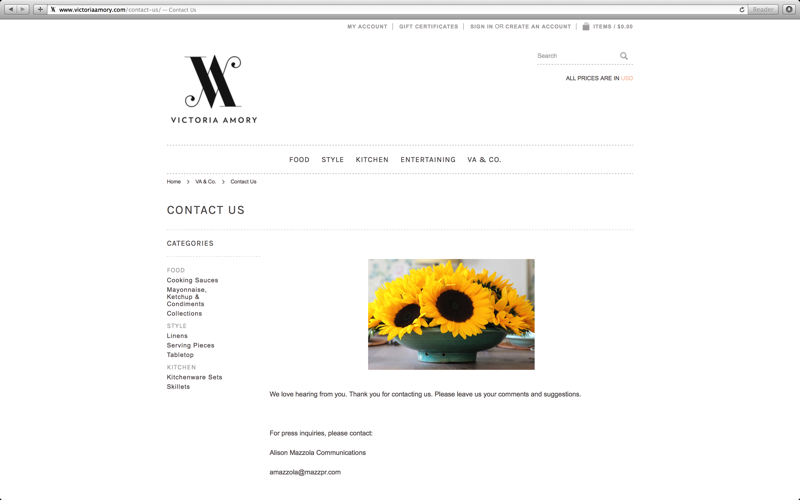 From their website to the video content, thinq mac manages Victoria Amory's content from A to Z. 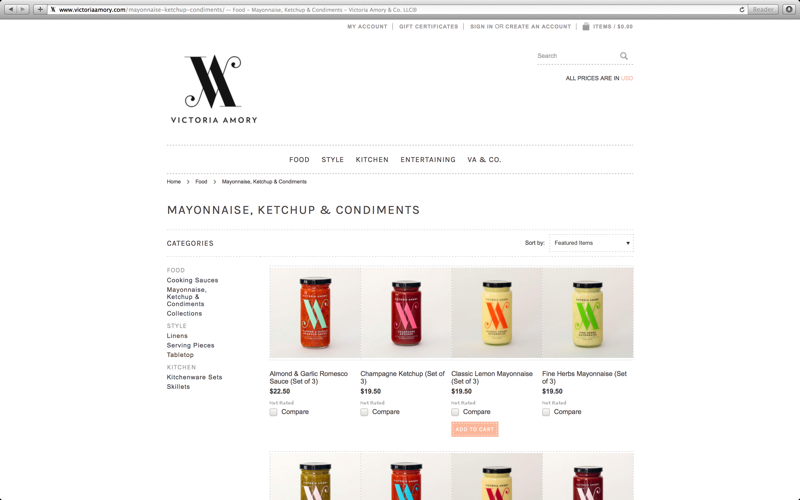 We have built an eCommerce site for Victoria with all the bells and whistles, from ordering to fulfillment. 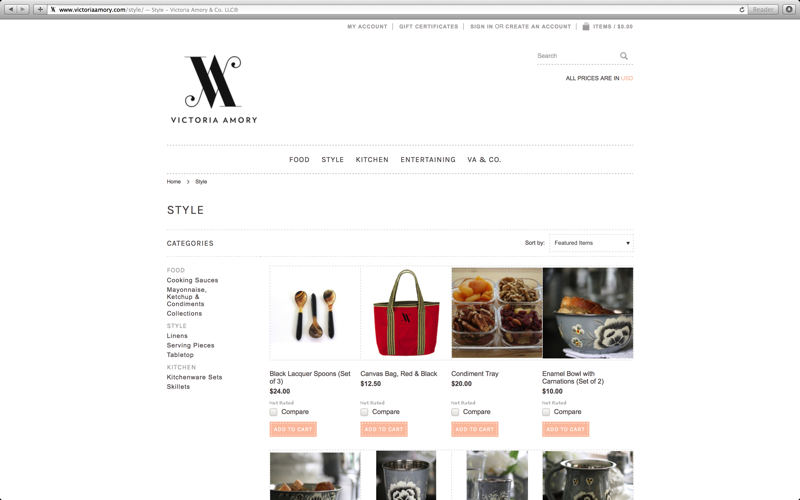 thinq mac has designed many aspects of Victoria Amory. 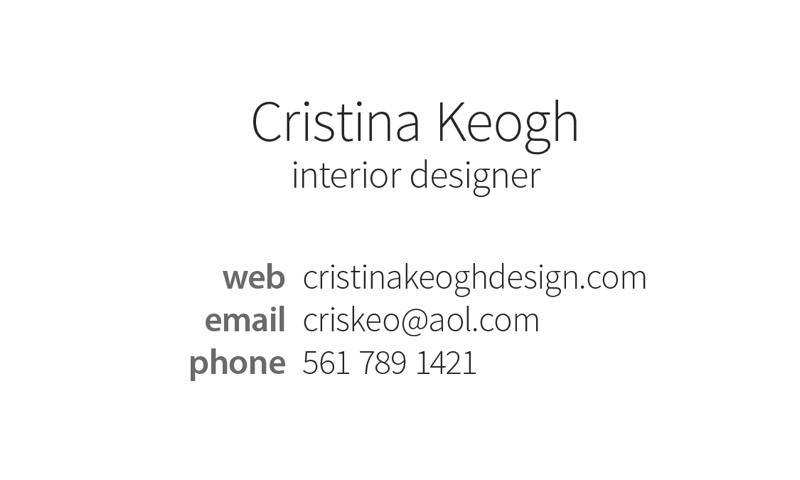 From their website to the video content, thinq mac manages Victoria Amory's content from A to Z. 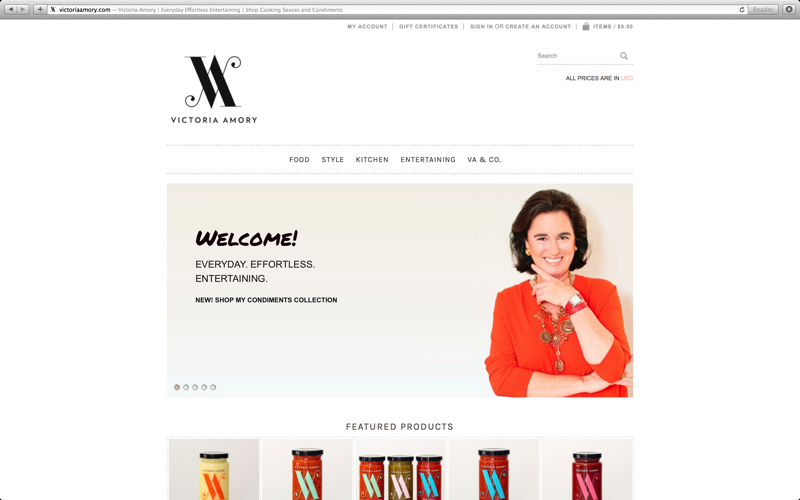 We often make new videos for Victoria Amory, especially when product lines launch, or events take place. We have also provided photography services as well. 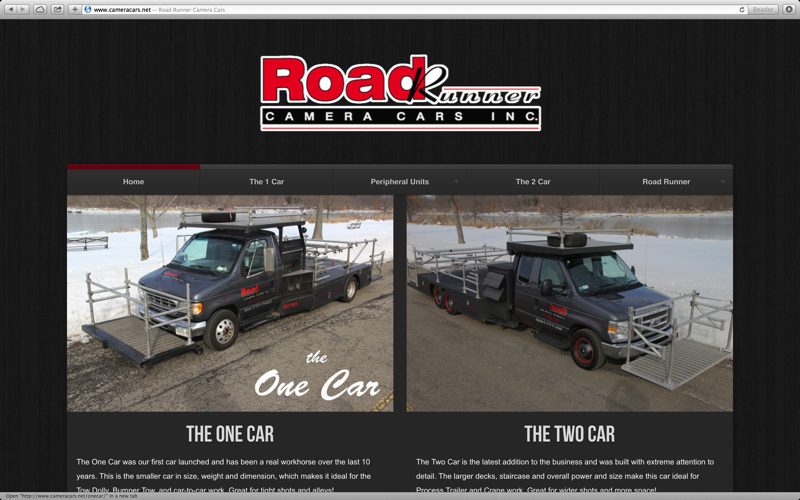 Road Runner Camera cars is one of the only companies on the East Coast that provides the service it does. Jared rents out his One Car and his Two Car for the movie industry to use in their car scenes! Most major movies with car scenes filmed on the East Coast use Road Runner's movie cars. 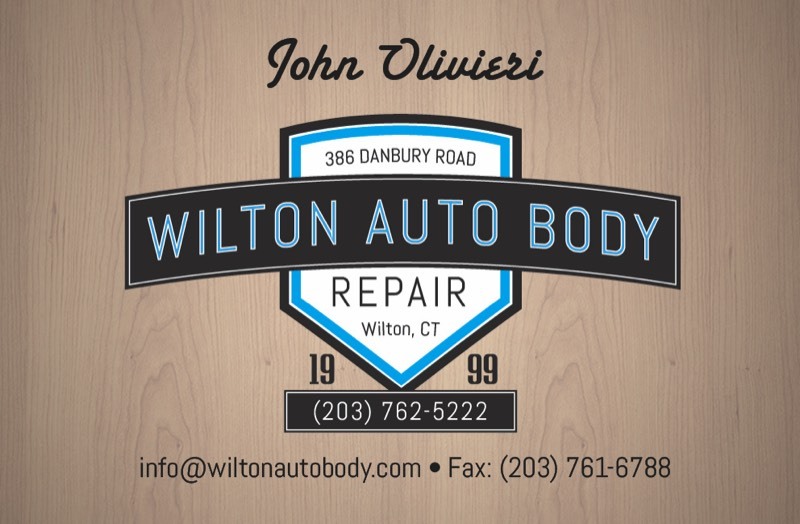 Wilton Autobody has been in Wilton for over a decade, and thinq mac was honored to design their business cards based off of the logo we also designed. 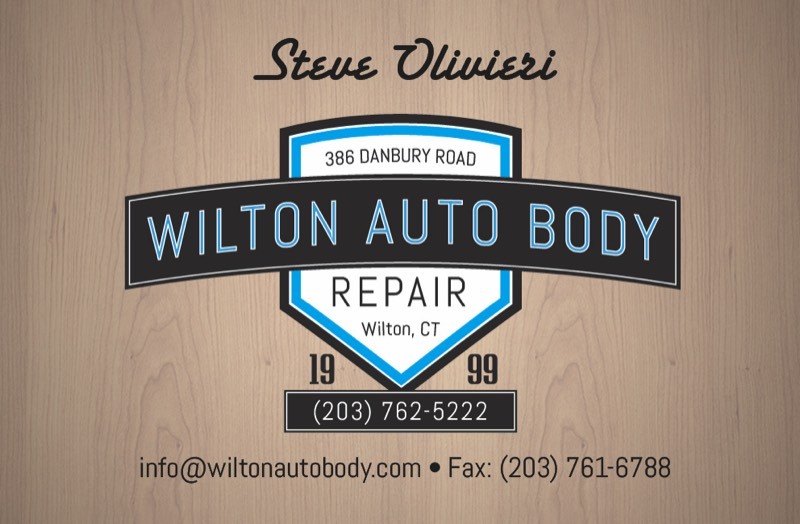 Wilton Autobody has been in Wilton for over a decade, and thinq mac was honored to build them a very simple site as a landing page for their customers. 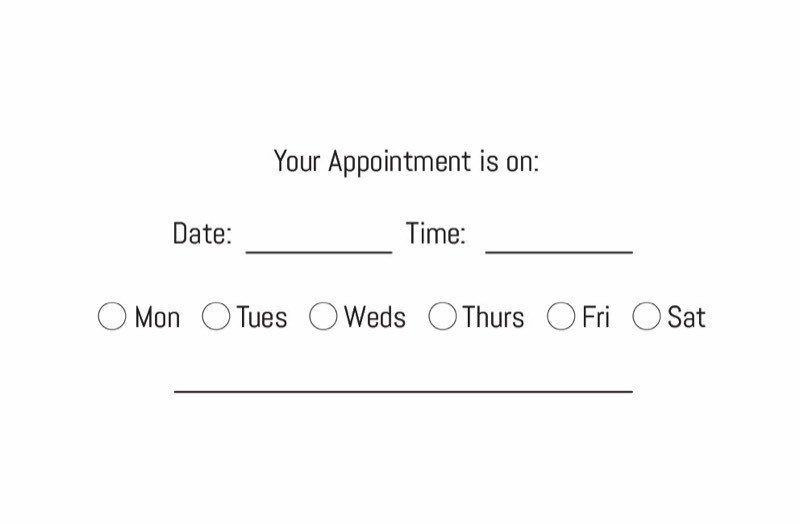 The site is very simple, but it gets the point across loud and clear. 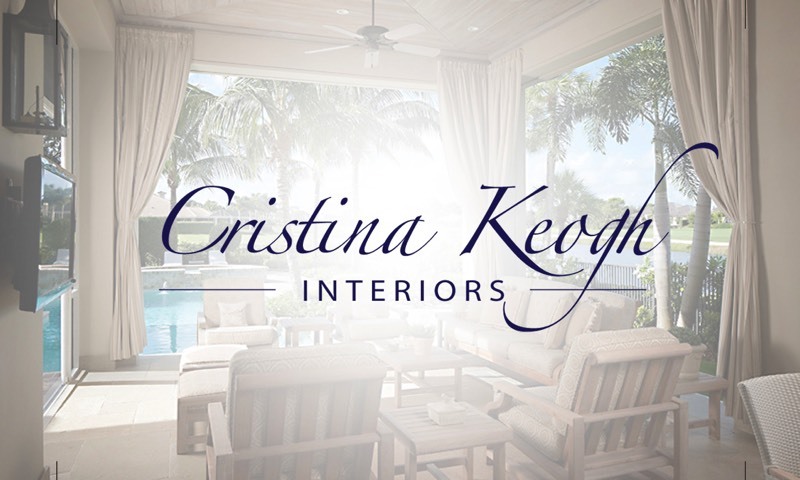 Cristina Keogh Designs is based in Florida. 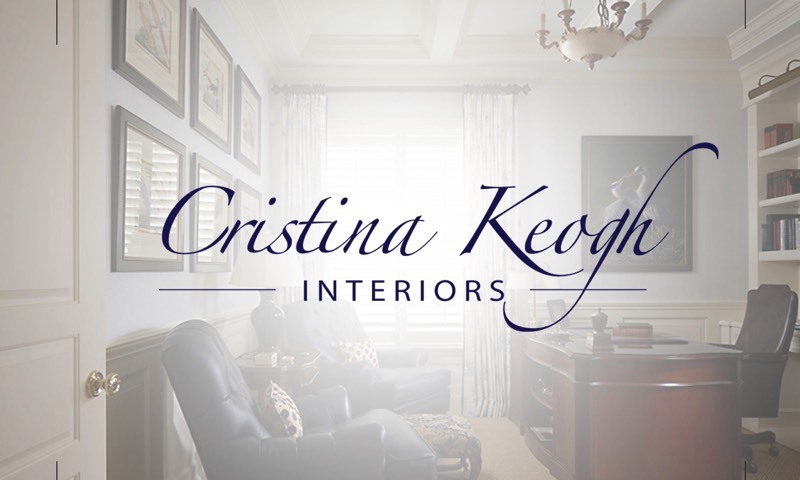 They hired us to design their logo, and we think it came out awesome! Take a look! 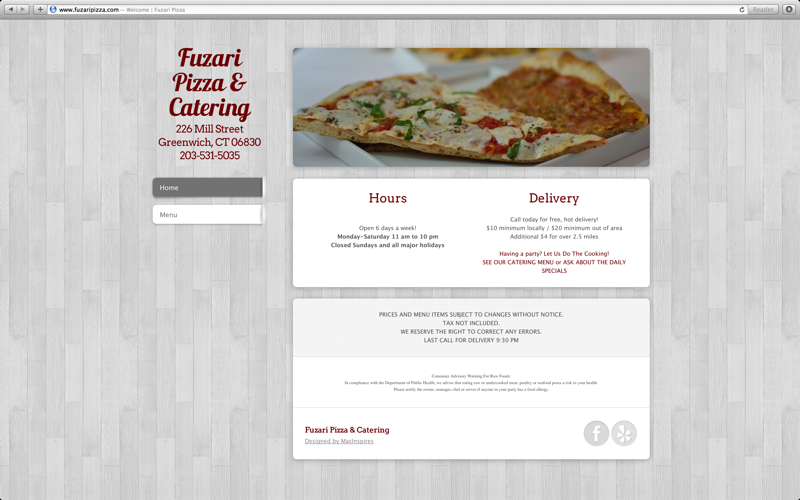 Fuzari Pizza is a great little local pizza place in Greenwich, CT and needed a site with a menu, some contact information, and not much more! 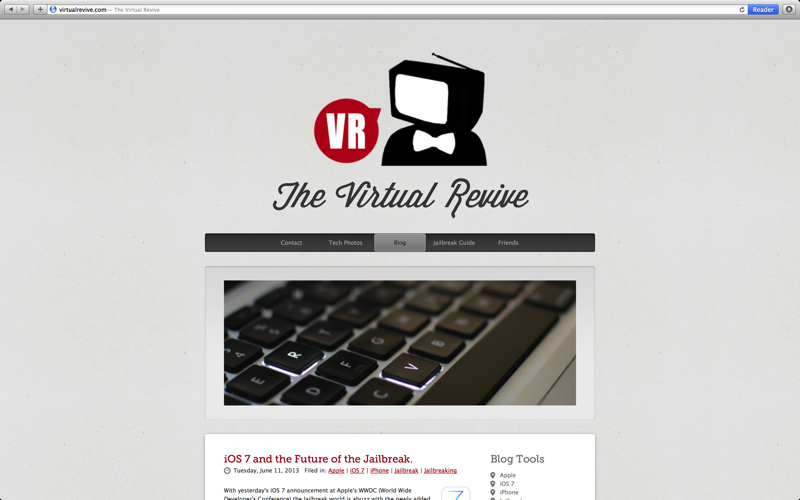 Another simple website, designed by thinq mac. 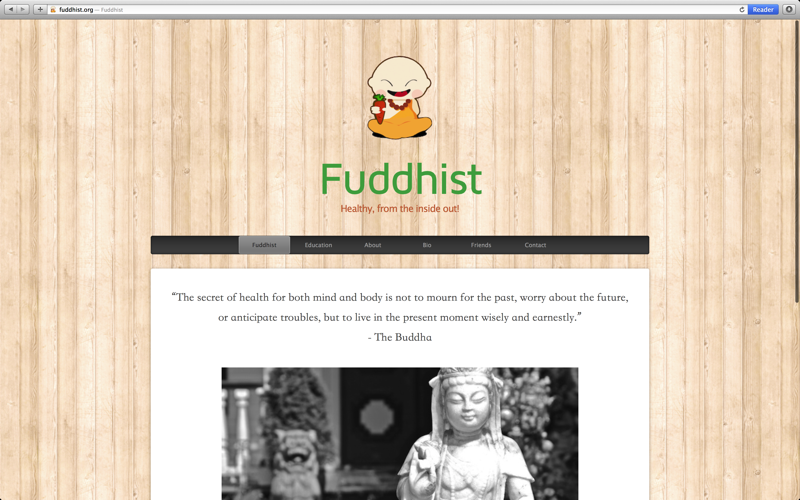 Fuddhist is an awesome little blog, mostly about health, food, and nutrition, by Lance Pendleton. Very cool, check it out! 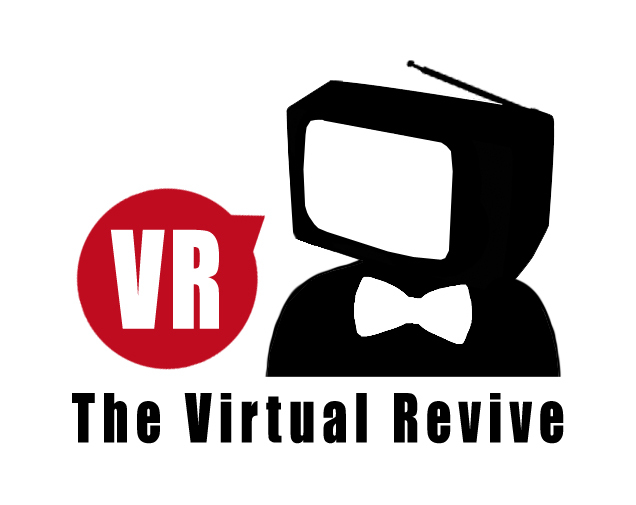 The Virtual Revive is an awesome little tech blog, mostly about Apple® products and updates, by Brian Layne. Very cool, check it out! 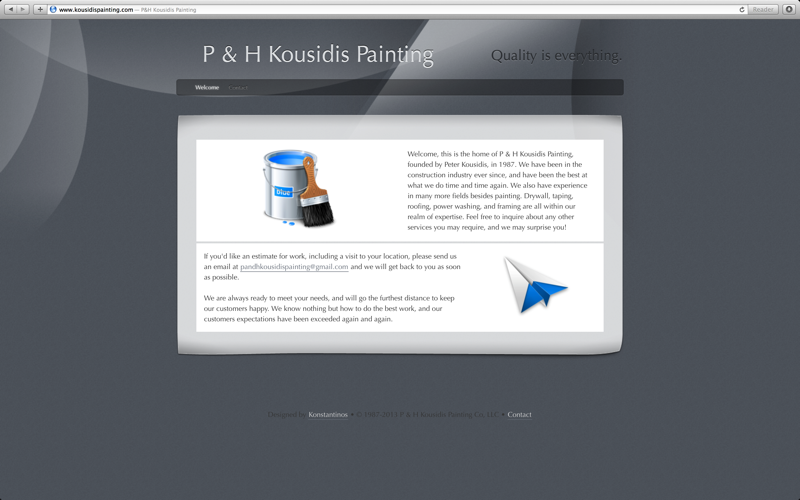 P&H Kousidis Painting is a local painting company, owned and operated by Mr. Kousidis. 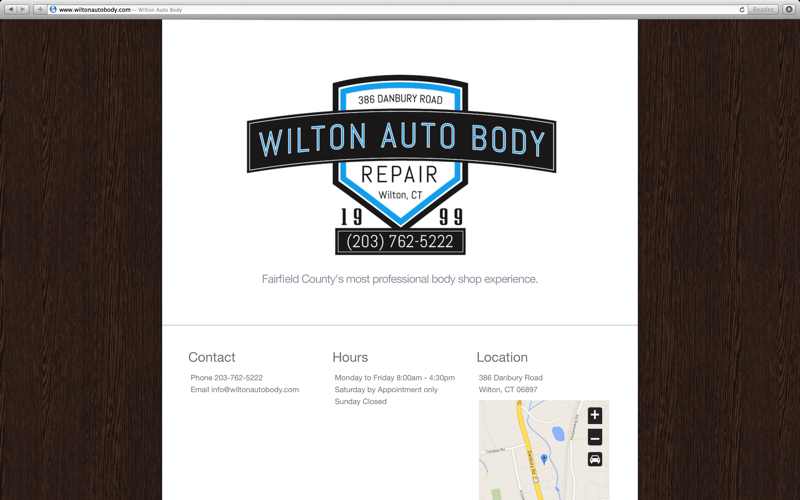 thinq mac took on this project to make a very simple landing page for a local small business! 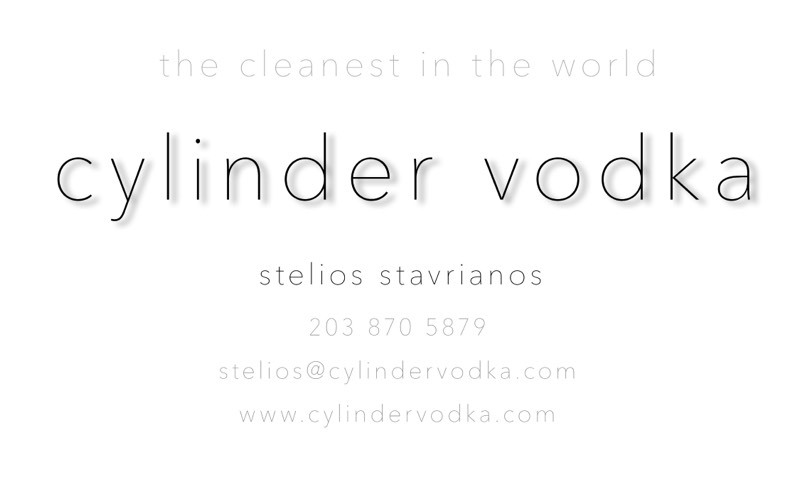 Cylinder Vodka's product is still under testing and approval, while the website is also under construction. thinq mac is involved in some cool projects, and is also designing the bottle for Cylinder Vodka. Stay tuned! 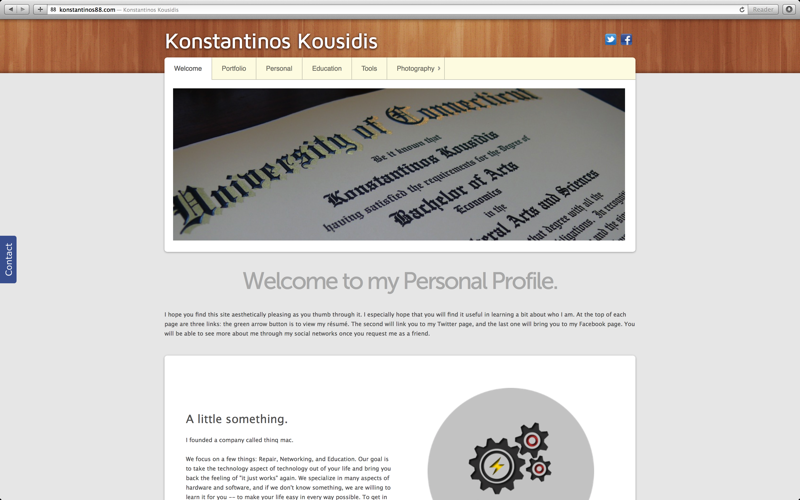 Konstantinos is the founder of thinq mac so naturally, his website was also designed by thinq mac! 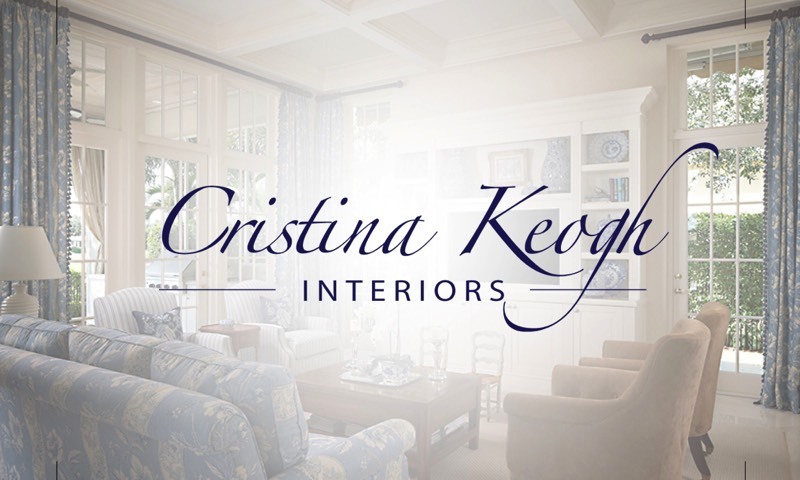 This was incidentally Konstantinos' first web design project, and is in need of updating!